Most of us have probably found ourselves wishing we had a generator or backup power in times of power failure. What we may not think about is how the technology we depend on came to be. For our latest blog we wanted to take you back and share a little history on some of the technology that forms a fundamental part of the Nature's Generator. A generator is the combination of an electrical generator and an engine to form a single unit of power supply . As many other technologies we've come to depend on, the generator has a history. In the 1800's, an English Scientist named Michael Faraday discovered electromagnetic induction . 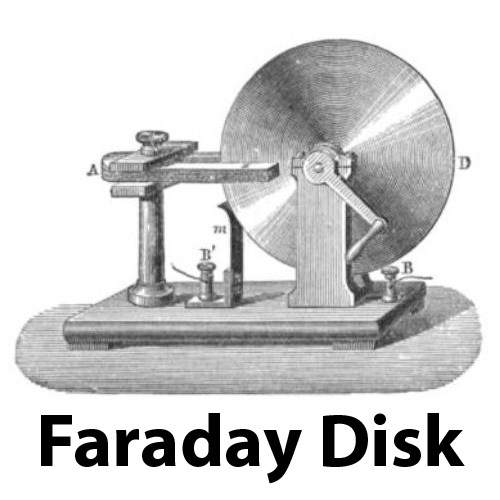 He then went on and made one of the first electromagnetic generators in 1831 which they call the Faraday disk - a type of homopolar generator that used a rotating copper disc between the poles of a horseshoe magnet producing a small DC voltage, and large amounts of current . The design was eventually deemed inefficient and its low output voltages disadvantageous . Most recently, smaller engine-generators powered by gasoline are what most people are used to picturing when you talk about generators. The invention of the engine-generator has truly helped supply power in situations where utility power is not readily available, unreliable or temporarily unavailable. Converting sunlight into electricity is nothing new. Going back to the 1700’s we can see an early interest in harnessing the power of the sun with the creation of the solar oven. Swiss physicist Horace De Saussure invented the first solar oven which was an insulated box covered with three layers of glass that converted the sun’s heat into concentrative heat . Pretty cool don't you think? Fast forwarding to 1839, in France we find physicist Alexandre Edmond Becquerellar. He was the first to demonstrate the ability of a solar cell to convert sunlight into electricity, or as they call it, the photovoltaic effect . 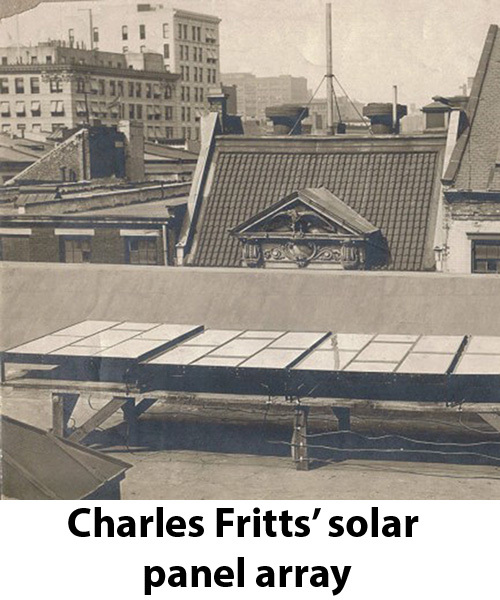 Forty years later, Charles Fritts, an American inventor, started to think about how they could create solar cells . He went on to create a solar cell by covering selenium with a thin layer of gold . Even though they had created a solar cell that was useable, they still didn’t quite understand how light produced electricity. That is until 1887, when German physicist Heinrich Hertz discovered the photoelectric effect . Solar cells that are used today depend on the photoelectric effect for converting sunlight into power . The history of wind powered energy goes back as early as 5000 B.C. helping to propel boats along the Nile River, and as far back as 900 B.C. to help the Persians pump their water . 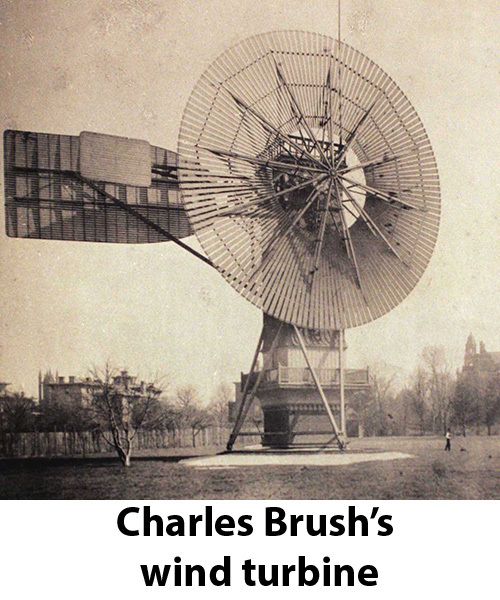 In 1888, Charles Brush became the first American to build a power generating wind turbine . The wind turbine built by this Ohio-based engineer was four tons, 60 feet high with 144 blades and generated about 12kW of electricity that helped run his entire home in Cleveland . Some of the largest wind turbines we see today soar at over 650 feet high, run 25 stories in diameter and produce about 2.5 megawatts of electricity ; they are enormous in comparison to the first one built by Brush. If humans have used the sun and wind for years to generate eco-friendly power, why is it that we still see an abundance of gas powered generators than we do solar and wind generators? In the U.S., gasoline is currently the primary source of fuel for generators. Even though gas powered generators have helped produce power, we must step back and look at the downsides that entail the continued use of gas generators . Whenever gasoline is burned, substances such as carbon monoxide, nitrogen oxides and particulate matter are released into our air contributing to air pollution . Not only does this affect the health of individuals but the health of mother nature. When you run out of gas you need to refill to continue powering the gas generator. When gas prices are stable refueling may not seem like a big deal. However, all over the country we are seeing an increase in gas prices. Having to refuel often may not be the best option for many of us. Because we know that alternative energy like solar and wind is capable of continually generating power, the Nature's Generator was built with the ability to be recharged via solar panels and wind generator. Why we think the Nature's Generator is a must have item and can help to reduce the use of gas powered generators. The Nature's Generator and Nature's Power Pod are both designed to store energy in their built-in sealed batteries. The charge in the battery replaces gasoline as your fuel source doing away with fumes and smells you'd normally see with a gas generator. This allows you to use the Nature's Generator and Nature's Power Pod inside. In addition, it reduces the amount of pollutants that are released into our air. The Nature's Generator and Nature's Power Pod are both whisper quite while in use. The only time you'll hear an audible alarm from the Nature's Generator is when it's time to recharge the internal battery. 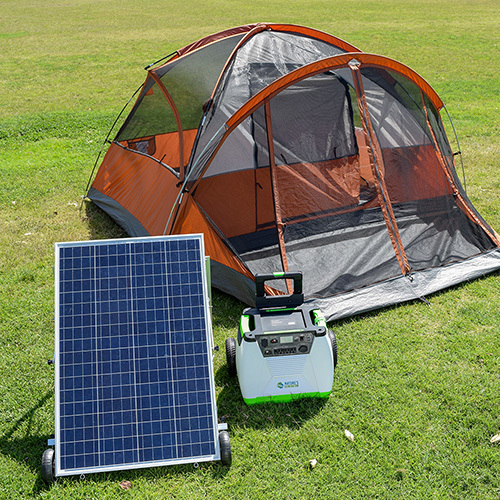 The built-in battery in both the Nature's Generator and Nature's Power Pod is rechargeable. The Nature's Generator is designed to be recharged in three ways - AC, solar and wind. The Nature's Power Pod is designed to be recharged via solar. The flexibility of these recharging methods allows you to choose the recharging option that best works for your needs. By incorporating renewable methods of recharging, the Nature's Generator and Nature's Power Pod lend themselves for use in a variety of scenarios both indoors and outdoors. 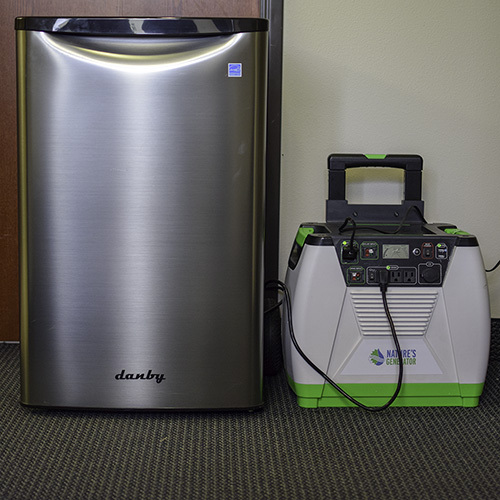 Whether you're looking to power small electronics to refrigerators, the Nature's Generator is there to help you produce the energy you need, when you need it. You won't have to worry about running out of gas and having to buy more fuel. Our Nature's Generator systems bundle the Nature's Generator and Nature's Power Panel for you to continually generate your own power. You'll be amazed at how convenient and easy to use the Nature's Generator is. 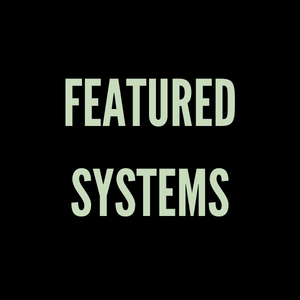 To find out more about our Nature's Generator systems head to our Featured systems page. 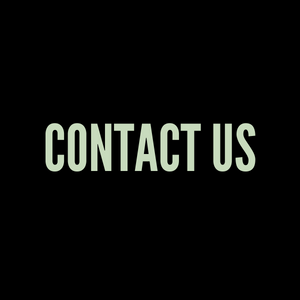 If you have any questions on what system will best suit your needs don't hesitate in reaching out to us through our Contact Us page.